Almonds are rich in magnesium which promotes muscle relaxation and sleep. Another reason to eat almonds is the fact that they are full of proteins that keep your blood sugar at normal levels even when you are sleeping. I can also say that the proteins in almonds turn off your alert adrenaline cycle into your rest and digest cycle. 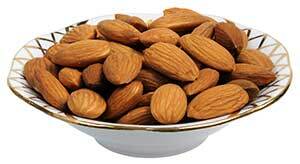 For a nutritious snack, you can eat an ounce of almonds with a tablespoon of butter. Chamomile tea, according to Jacob Teitelbaum, MD, is a very good sleeping aid, while green tea is another good choice. Green tea in particular is rich in theanine which promotes sleep. A cup of hot green tea will be more than sufficient, but if you’re drinking in the evening, make sure it’s decaf. I can also point out other benefits. Tea is full of antioxidants that remove toxins in your body. Drinking tea will reduce your risk of heart disease as it helps lower your cholesterol and keeps your blood pressure level normal. This is a Japanese broth based soup and suitable for those who are having trouble sleeping. Miso soup is rich in amino acids that help boost melatonin production, a natural hormone that helps fight cold symptoms. This soup is available in Japanese restaurants but you can also purchase them in grocery stores. The reason why this soup is highly recommended by nutritionists is they contain amino acids help secrete melatonin, the hormone that makes you yawn. According to Saundra Dalton-Smith, MD, bananas are full of potassium and magnesium which helps relax your stressed out muscles. I also have to add that bananas are full of tryptophan, a substance that changes to serotonin and melatonin, both of which help you calm down. Bananas have five times as many vitamin A and iron as apples. It is also rich in potassium. While bananas are good for helping you sleep but will also give you enough energy to work out. 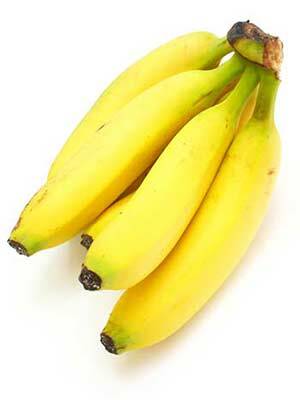 Bananas also improve bowel movement and work better than laxatives. Another benefit of bananas is they are full of tryptophan, a chemical that signals your brain to relax the body and make you feel happy. According to Dr. Dalton-Smith, dairy products like milk and yogurt are rich in calcium which helps reduce stress and stabilize your nerve fibers. Yogurt in particular, is very effective in reducing stress. Milk of course is good for your bones while yogurt is fat free and improves your digestion. Clinical nutritionist Stephan Dorlandt is full of nutrients that help you sleep such as potassium, silicon, phosphorus, magnesium and calcium. However, I suggest you cut down on the sweeteners as too much sugar will actually keep you awake. Oatmeal has other benefits besides helping you sleep though. More than 40 studies have shown oatmeal reduces your risk of heart disease and lowers cholesterol. 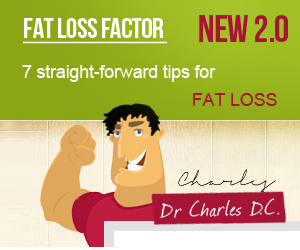 3/4 cup of oatmeal a day is more than enough to lower LDL or bad cholesterol. Eating some oatmeal can help reduce risk your risk of developing type 2 diabetes. According to the American Diabetes Association, diabetics should eat whole grain and oatmeal to keep their blood glucose levels normal. Except for some flavored variants, all oatmeal found in groceries is 100% natural. Hard cooked eggs won’t just make you feel full but help you sleep and stay asleep. Eggs, like nuts and cheese, make for a healthy snack since they are full of protein. In addition, hard cooked eggs don’t have any “bad” fats, which make it hard for you to sleep. But hard cooked eggs have other health benefits. Hard cooked eggs are full of high protein that helps build muscle mass and also reprints any damaged tissues in your body. 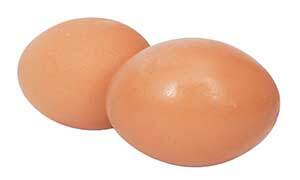 Hard cooked eggs also repair cellular walls in your body that have been damaged. Hard cooked eggs are also good for your eyes thanks to its vitamin A content. Eggs have elements that soak in light in your retina and keep your membrane protected. This protects the membranes in your eyes and reduces your risk of getting blind. Passionfruit Tea: A study in Australia showed that drinking a cup of passionfruit tea helps you sleep more soundly. The reason is they have harman alkaloids, chemicals that interact with your nervous system and make you sleepy. Hummus: hummus is full of L-tryptophan, an amino acid that makes you feel sleepy. About 600 mg of hummus is the right amount to help you get to sleep. Dates: dates are full of L-tryptophan and carbohydrates as they tell your body release insulin and generate amino acids in your bloodstream. This in turn releases more L-tryptophan and makes you feel relaxed. Chinese Food: Chinese foods are rich in glutamic acid. Glutamic acid has a salt called monosodium glutamate (MSG) and is added in most Chinese foods. While MSG has gotten a bad rep, the FDA has declared it fit for eating. Cherries: cherries are not just delicious, but according to the European Journal of Nutrition, drinking an ounce of cheery juice twice a day (morning and evening) helps you sleep an additional half hour. 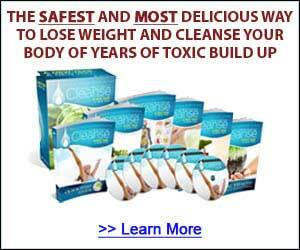 As I’m sure you know lack of sleep can make you feel sluggish, tired and unable to focus. Rather than relying on sleeping pills which may have side effects, you can just take these foods and rest assured you will get a good night’s sleep.